Celebrating five years of the Sword Art Online game project. 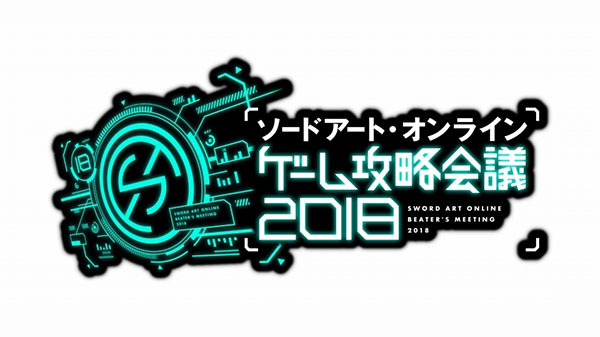 Bandai Namco will hold a “Sword Art Online Beater’s Meeting 2018″ event in Japan on February 17 from 11:00 to 18:30 in Hall F of the Tokyo Ryutsu Center in celebration of the Sword Art Online game project’s fifth anniversary, the company announced. Sword Art Online: Fatal Bullet (PS4, Xbox One, PC) – Play the new elements of the latest update, including LLENN and Pitohui, before its official release. A stage event is also planned. Sword Art Online: Integral Factor (iOS, Android) – Stage event. Sword Art Online: Memory Defrag (iOS, Android) – Player-versus-player duel tournament and single-player no. 1 decisive match. 11:00 – Opening – Featuring Yoshitsugu Matsuoka (Kirito voice actor), Kanae Itou (Yui voice actress), Rina Hidaka (Silica voice actress), Tomori Kusunoki (LLENN voice actress), Chinatsu Akasaki (Fukaziroh voice actress), Tomohiko Takeuchi (Bandai Namco Entertainment), Yasukazu Kawai (Bandai Namco Entertainment), Yosuke Futami (Bandai Namco Entertainment), and Keishu Minami (Bandai Namco Entertainment). 12:30 – Sword Art Online & Gun Gale Online New Anime & Original Work Stage – Currently accepting applications for special seats. Featuring Yoshitsugu Matsuoka (Kirito voice actor), Kanae Itou (Yui voice actress), Rina Hidaka (Silica voice actress), Tomori Kusunoki (LLENN voice actress), Chinatsu Akasaki (Fukaziroh voice actress), and Kazuma Miki (Straight Edge). 14:00 – Sword Art Online App Game Stage – Currently accepting applications for special seats. Featuring Yoshitsugu Matsuoka (Kirito voice actor), Kanae Itou (Yui voice actress), Tomohiko Takeuchi (Bandai Namco Entertainment), and Yasukazu Kawai (Bandai Namco Entertainment). 16:00 – Sword Art Online: Fatal Bullet Stage – Currently accepting applications for special seats. Featuring Yoshitsugu Matsuoka (Kirito voice actor), Kanae Itou (Yui voice actress), Rina Hidaka (Silica voice actress), Yosuke Futami (Bandai Namco Entertainment), and Keishu Minami (Bandai Namco Entertainment). 17:30 – Grand Finale – Featuring Yoshitsugu Matsuoka (Kirito voice actor), Kanae Itou (Yui voice actress), Rina Hidaka (Silica voice actress), Tomohiko Takeuchi (Bandai Namco Entertainment), Yasukazu Kawai (Bandai Namco Entertainment), Yosuke Futami (Bandai Namco Entertainment), and Keishu Minami (Bandai Namco Entertainment). Every stage event will be live streamed on YouTube, Niconico, and Periscope (links have yet to be posted).